Shubhashis Ghosh is born and brought up in Howrah. He started running in December 2016. While running at Dumurjola Stadium, Gulmohar Maidan and other places of Howrah, he couldn’t find any running community there. After a period of time he met a runner, Anupam Mishra from Howrah at Pinkathon event in April 2017. 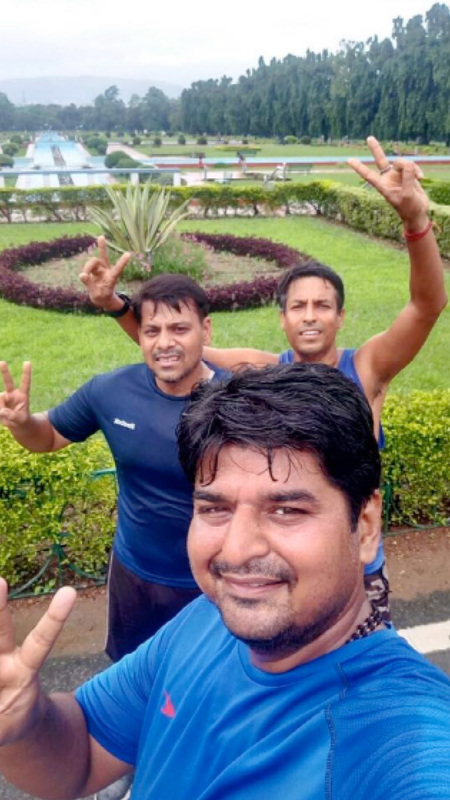 They both thought of spreading the awareness about running and fitness for Howrah people and formed a group “Happy Feet Howrah” which eventually changed to “Happy Feet Runners”. At the beginning there were very few people in the group out of which only two to three people were regularly running and were into fitness activities. In the process they were consistently motivating their friends and family members to join them. They even conducted Health and Fitness Sessions which was open to all in order to spread the awareness. 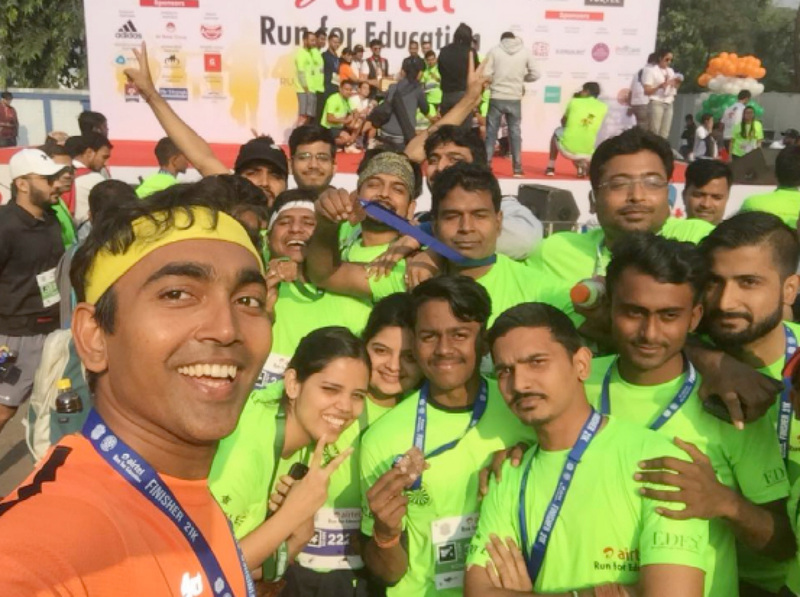 In the Kolkata running community Collaboration Run July 2017 they met few runners from Howrah who were not aware about the group and wanted to join the group. 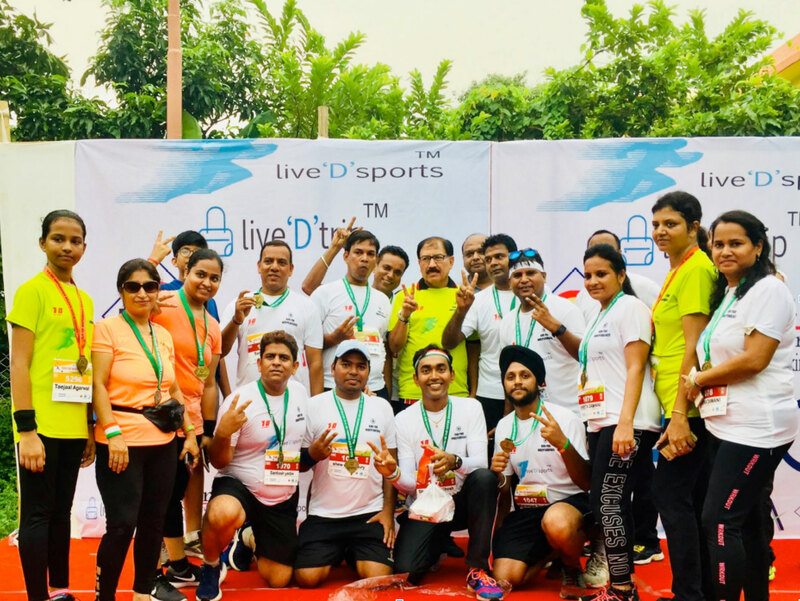 Some of the Kolkata running group members also provided HFR the references of aspiring runners from Howrah who wanted to join the group to get the benefits of group run, regular information sharing about the running and its benefits, upcoming marathon details and so on. Slowly this group became popular among the people of Howrah and one of the event “Durga Puja Pandal Hopping by Running” was also published in one of the major newspaper in October 2017. Since then there was no looking back, more and more people got to know about their events and activities in Social Media and also through friends and family members .Enthusiastsall over contacted them to join in and participate in the fun activities. 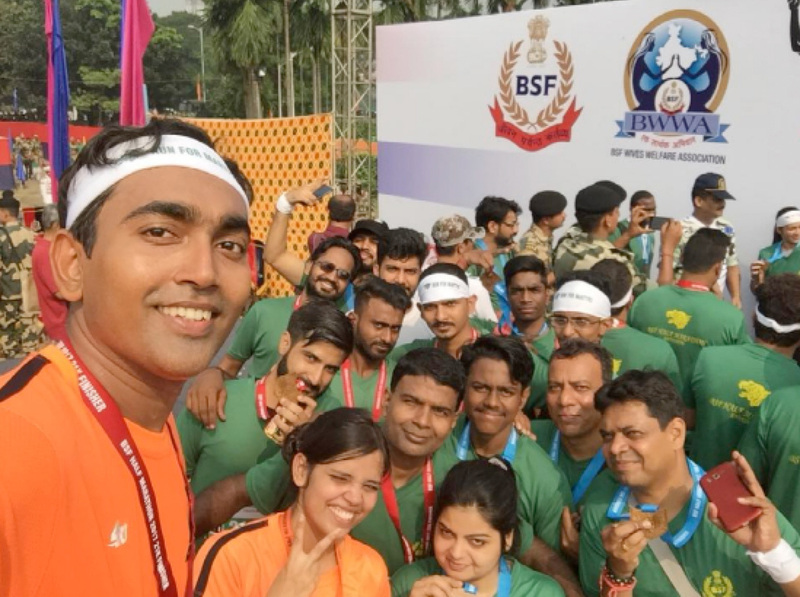 Now this group consists of more than 100 proud members in which more than 50 runners have participated in major marathons of Kolkata like BSF Run for martyrs, Airtel Run for Education 2017and in other National Marathons too. 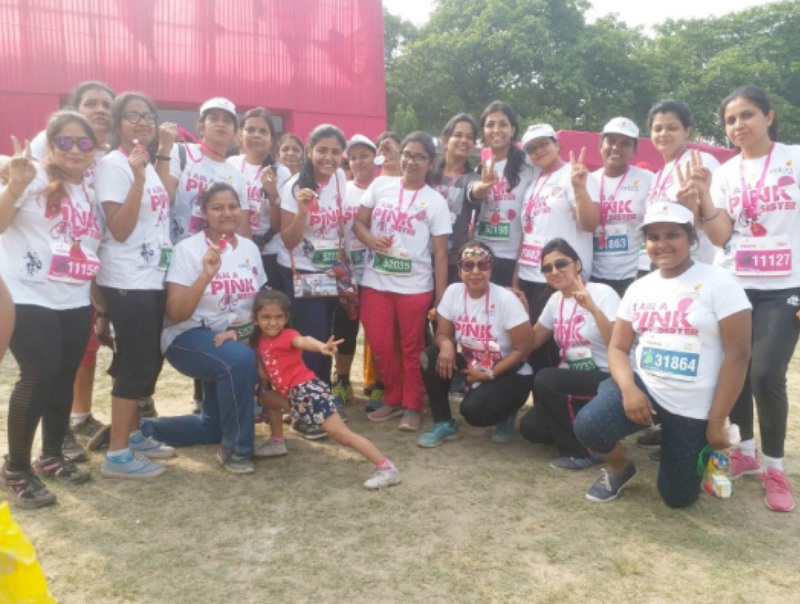 Adding to the feather in the cap, In Pinkathon 2018 edition more than 90 Lady Runners participated from Howrah and just missed the best group award by small margin. 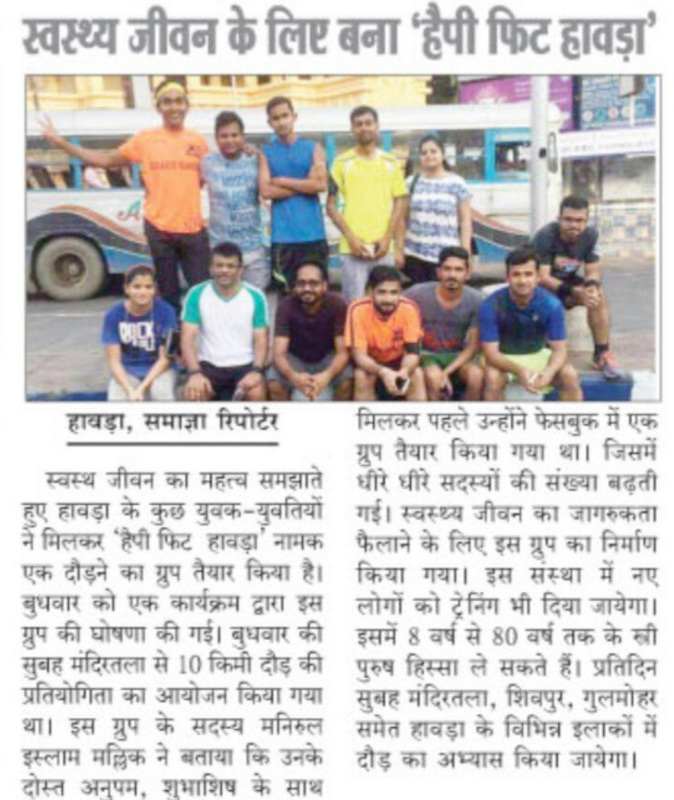 Happy Feet Runners members are regularly doing running and fitness activities in different parts of Howrah like Dumurjola Stadium, Gulmohar Stadium, Liluah Railway Colony, Botanical Gardens. They consistently arrange their Group Run on Sunday and celebrate it with Sattu Party thus imbibing healthy and nutritious lifestyle. The Sattu Party has become popular amongst the other running groups of Kolkata and since the last two Collaboration Runs ( July 2018 and August 2018) of KR, inclusion of Sattu brought a new dimension to the after run breakfast. A friendfrom Jamshedpur of one of theHFR member once joined their group run when he was in Howrah. Getting inspired he started running in Jamshedpur and motivated few of his friends too to join the group run at Jamshedpur. It has become the extension of Happy Feet Runners. 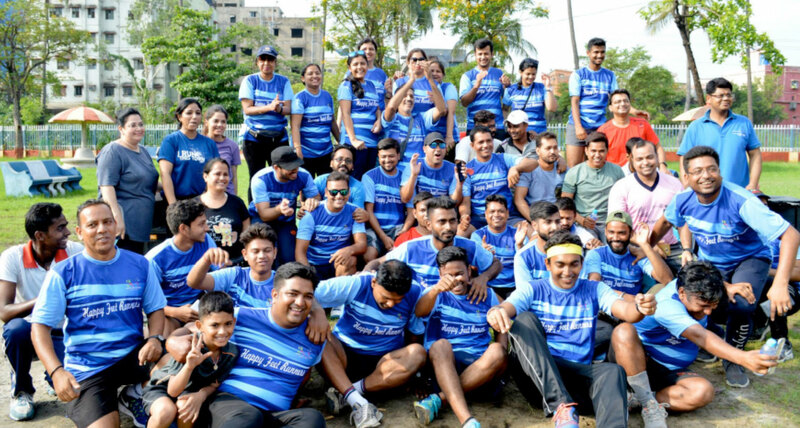 HFR’s objective is to spread the awareness about running and fitness as much as possible in nooks and corners of Howrah, Kolkata, India and even to the world by regularly doing the activities and posting these activities in different social media and other online platforms. You can like their Facebook page Happy Feet Runnersto get regular update about running and fitness. Thank you ARFE for the wonderful write up about our group. We are happy to spread the awareness about running and fitness.